Activate the multilanguage option by clicking on "OK" and select the main language of your website. All your pages will be set in the language you selected. The following page is displayed. Multilanguage activation can take several minutes. Once you have activated the desired languages, you can set the language for every new page you create. Select one of the languages you chose before, to create a page in the corresponding website. 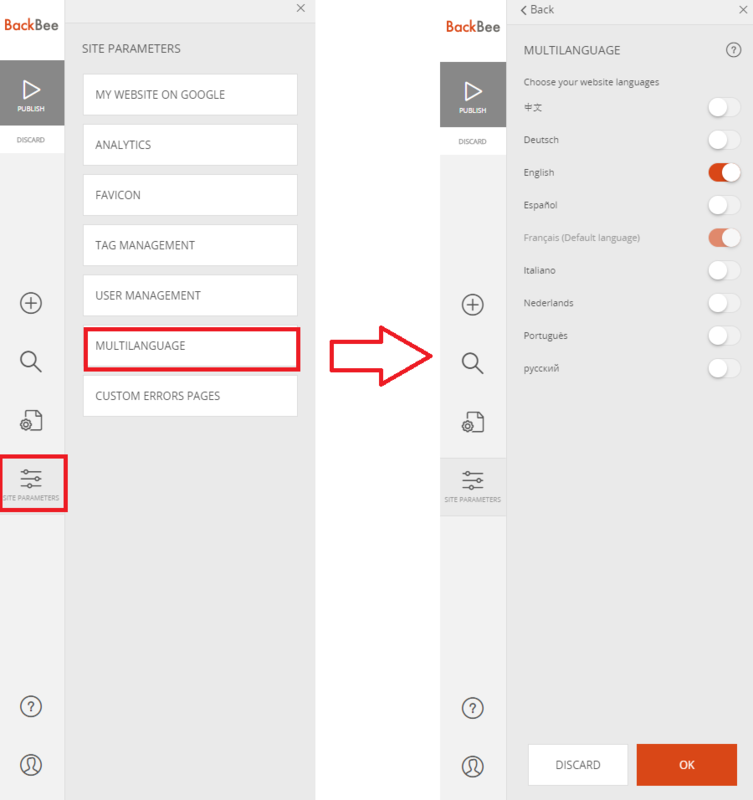 Now that your site is in multilingual, BackBee tells you in the "Search Page" section which language each page belongs to.